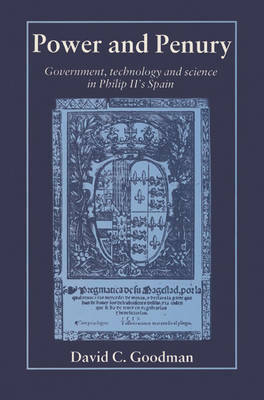 This is the first book in any language to attempt a comprehensive discussion of the relations between government, technology and science in Philip II's Spain. In histories of early-modern European technology and science, Spain has consistently been overlooked; yet the assumption that Spain contributed little in these fields has hardly been tested against archival evidence. Dr Goodman redresses this misconception. Through extensive research of source material he offers a reconsideration of Philip's relations with technology and the sciences, showing the crown's considerable involvement in technological affairs, ranging through shipbuilding, military engineering, mining, and the organisation of medical provision. The king's interest in astrology and alchemy are also re-assessed, as are reactions to the occult in official circles, including the Inquisition. This book will appeal beyond historians of science, with relevance to all historians interested in sixteenth-century Spanish civilisation and society.